Located in Florence, Arizona, Poston Butte Golf Club offers an ideal setting for tournament groups, charity golf events and corporate outings. This 18 hole championship golf course offers 5 sets of tees ranging in length from 5,300 - 7,300 yards providing golfers of all skill levels an enjoyable experience. Memorable par three holes featuring island greens, stacked stone walls and bunkers stretching from tee to green will captivate players wanting to try it again and again! 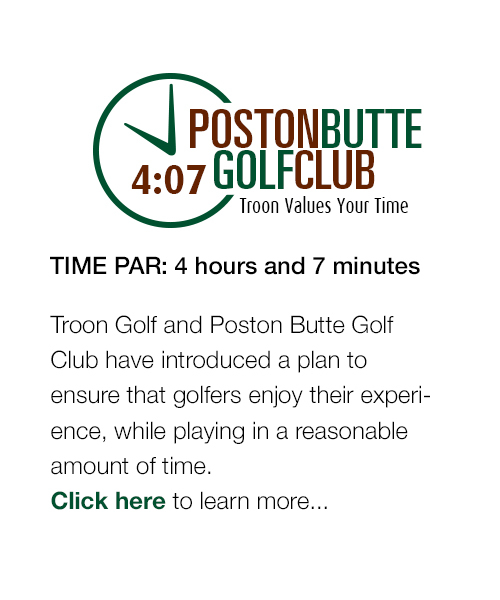 Managed by Troon Golf, Poston Butte Golf Club adheres to the highest standards when it comes to course conditions, customer service and playability. Led by our high quality team, we are committed to insuring that your outing will be a memorable, successful event. Our staff will provide the pre-planning expertise to insure all of the critical details are handled and that your guests are treated to the friendly, helpful service at Poston Butte Golf Club.